If you are looking for an elegant option for a garage door to your stylish home, the best choice is Glass garage doors. They are considered luxury because of their high price. 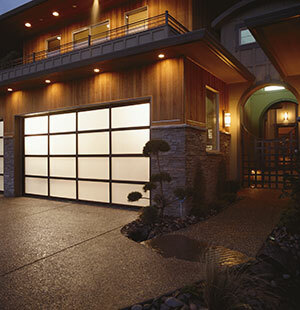 Glass garage doors offer style and also add value to your home. Although, they add elegance to your home, they also require high maintenance as they need to be cleaned very often to keep their aesthetic appeal. If you are concerned about security, glass garage doors are not a good choice because they will definitely be fragile. The pricing for the glass garage doors will depend mainly on the garage space. 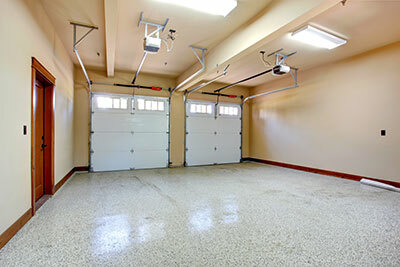 If you have a large space, the garage door will also be more expensive. There are many styles of glass garage doors. The styles vary depending on the frame and glass. For glass garage doors, the frames can be metal or wooden. If you are looking for stability than elegance and style, go for the wooden frame. The glass can vary widely from clear to tint in a variety of shades. The thickness also varies a lot. Another option to get more support is to go for a glass with metal support. Even though it provides extra support and will last longer, the aesthetic appeal - that you were looking for in having a glass garage door, will be lesser than a regular glass garage door. Style is a huge factor in the pricing of these doors. Metal frames are cheaper than the wooden ones, clear is cheaper than tinted glass and glass supported with metal are cheaper, as the glass can be thinner with the extra support. The happy news is that these Glass garage doors are available at our shop in Shoreline, WA. One great feature of the glass garage doors is that they are very convenient and the noise, while you open and close the door, is minimal. Also friction and wear and tear are unlikely to happen because of the stainless steel used in production, which also makes them durable. The new brand, which is coming out in the market, is appropriate for hurricane weather and to withstand high winds. Even though repairs are minimal in the case of glass doors, you need only the experts in handling your highly expensive garage door. So, it will be really handy if you know the experts in your area. We are the experts in maintaining and repairing any kind of problems with glass garage doors in the Shoreline, WA area. We have experts, who have attended to hundreds of Glass garage doors in your area. We have specially trained people to repair the highly expensive glass garage doors in the Shoreline, WA area. One of the major repairs that could be needed is to replace the glass of the garage door. This is something we are specialized in, and you can trust us completely in handling it well. It will be difficult for you to find any other experts in the Shoreline, WA area, to handle it more efficiently than us. Other problems such as door getting stuck, problems with frame and rail, replacing weather strip or bottom rubber, could happen like in any other garage door. We have vast experience in attending to all the major and minor problems associated with any type of Glass garage doors, and we respond quickly to your calls. We cannot only provide solutions quicker, but also cheaper than any other provider. We have been in this business for long and are highly experienced. We have provided our exceptional services to hundreds of customers in Shoreline WA with positive feedback from all of them.